We had some landscaping done this summer and one of the things they did was replace the grass under our heat pump with rocks to improve the drainage. Those rocks have been tempting me for a couple of months now - I have been dying to use them for crafts! The other day I saw these two beauties and I just couldn't resist turning them into cute Halloween decorations. I started with a pumpkin, using the orange and green chalk markers. Since I didn't have a black chalk marker I used a Sharpie for the eyes, nose and mouth. I love how the chalk markers gave a brilliant color while still letting the texture of the rock show through. Next I decided to make a friendly ghost. I used the white chalk marker and my black Sharpie, then added a "BOO" on the side in orange. I love how these turned out! It was really fun and relaxing to do a little drawing for myself, and to end up with some cute Halloween decorations that didn't cost much. They will be perfect for helping me keep control of all the paper that seems to keep accumulating on my desk these days. That's it! A really fun, simple craft that just about anyone can do. 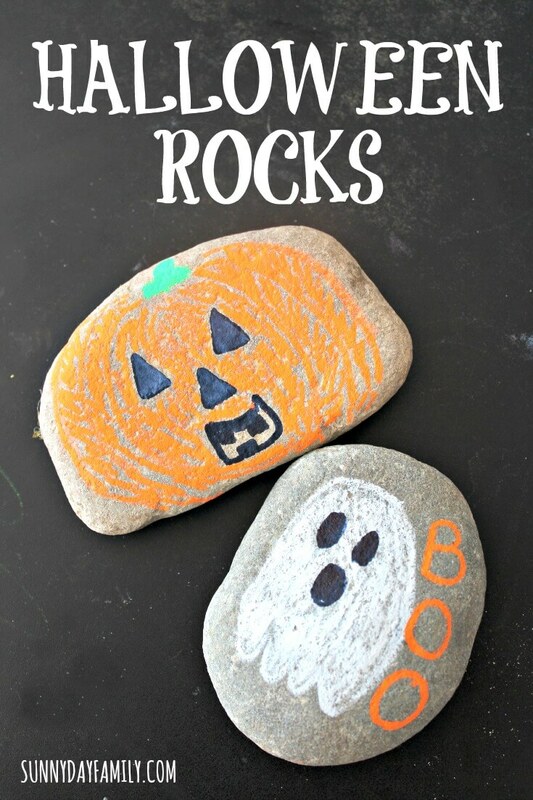 This would make a great activity for an older kids' Halloween party or even just a quick DIY decor project. For more Halloween Fun, check out our Halloween Activities section. What's your favorite Halloween craft? Leave a comment below or message me on Facebook and let me know! 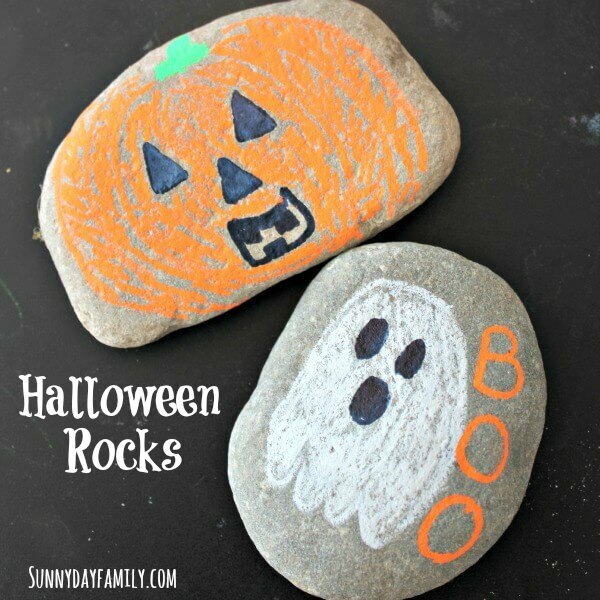 I've been meaning to try chalk markers on rocks - now I *have* to give it a try! Such a fun idea!